Service Saddles of diameter 20mm, 25mm & 32mm are available in 63 mm to 110 mm sizes with virgin quality material. Agri Elbow PN6 is available in 63 mm, 75mm and 110 mm, made from virgin material. Agri Elbow Eco is available in 63 mm to 110 mm, made from virgin material. Agri TEE PN6 is available in 63 mm, 75 mm and 110 mm, made from virgin material. Agri TEE Eco is available in 63 mm to 110 mm, made from virgin material. Agri Plain End Cap is available in 63 mm to 110 mm, made from virgin material. Agri Reducers are available in following sizes made from virgin material. Agri Reducing MTA is available in 63 X 75 mm and 75 X 90 mm, made from virgin material. Agri Reducing FTA is available in 63 X 75 mm and 75 X 90 mm, made from virgin material. Agri Reducing TEE is available in following sizes made from virgin material. Agri Tail Piece is available in 63 mm, 75 mm, 90 mm and 110 mm, made from virgin material. Agri Sockets are available in 20 mm to 140 mm, made from virgin material. 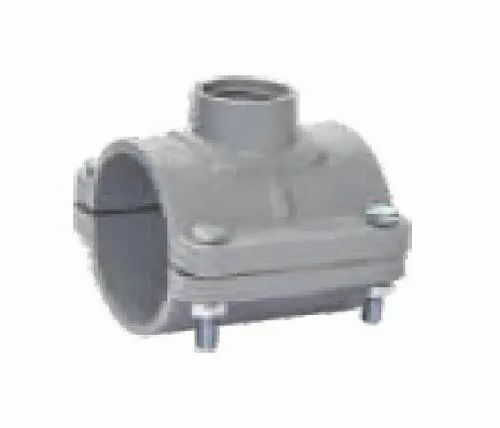 Agri Elbow is available in 20 mm to 160 mm, made from virgin material.